Titus Capilnean – Page 4 – Marketing. Growth. Snowboarding. Politics. AI. Crypto. Blockchain. Investment. Learning. 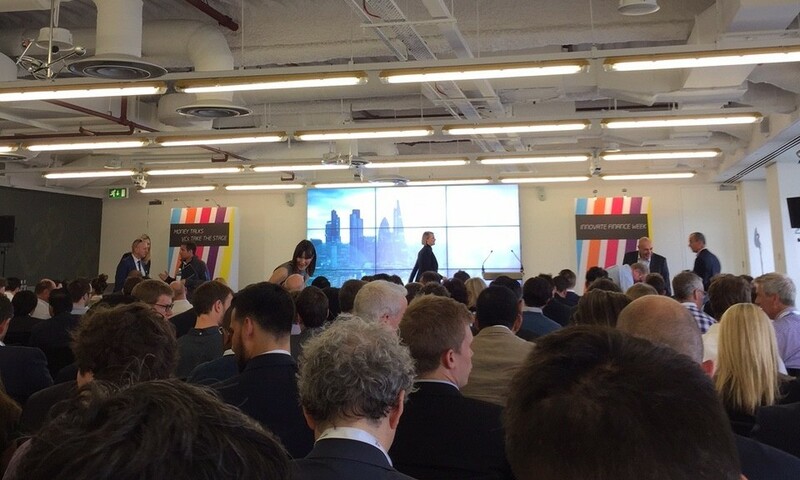 Big turnout today at the Innovate Finance event at Level39, where entrepreneurs, FinTech enthusiasts, interested parties have come to see who and why is channeling money into finance innovation projects. 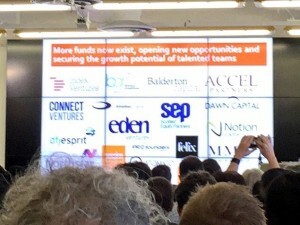 Of all the intros, I found Gerard Grech’s (Tech City UK) to be the most noteworthy, with him presenting the UK VC funding landscape: 20x increase since 2010, high growth segment on AIM.LSE, 42% of EU unicorns are in the UK, two 500 million + exits – Deepmind, Naturalmotion Games – to Google & Zynga. And that the Future Fifty program raised 22 rounds and 675 million in 16 months. Pretty impressive achievements given its relative short lifespan. After all the pitches were over, we witnessed a feedback committee Q&A, with : Bill Simmons at Crowdcube – CFO, Nezahat Gultekin at Atlantic Bridge Capital (Senior adviser), Russ Shaw at Tech London Advocates (Founder), Louise Beaumont at GLI Finance (PA and Marketing), Alain Falys at Yoyo Wallet (Founder). This was a bit less structured and the VCs received further grilling from the Q&A guests. Again, I captured what I deemed worthy to remember. VCs don’t see themselves as in competition, but in collaboration especially at early stage – seed / series A. More competition can be found at series B or larger rounds, when your graph goes hockey stick. Is the world purposely allowing piracy for a greater good? Yesterday I was listening to the Quartz authored podcast called Actuality (it’s amazing, you have to listen to it!). 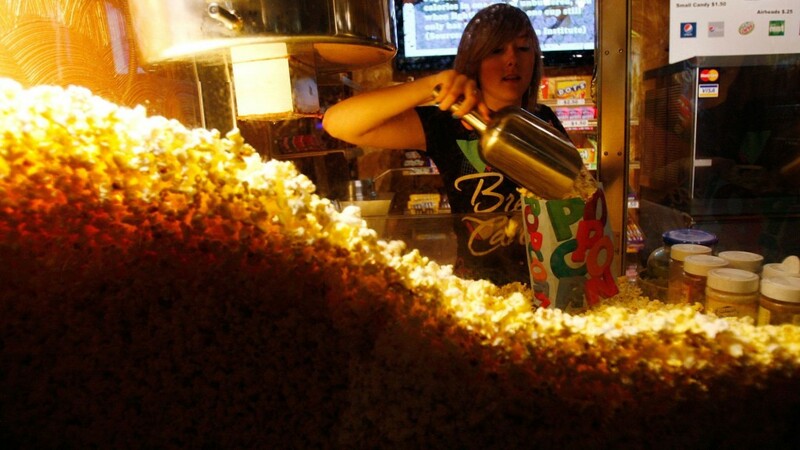 The topic I had hit was piracy, Popcorn Time and movie industry disruption. For those who don’t know yet, Popcorn Time is a torrent based streaming app that allows you to see torrented movies like they would stream via Netflix or Amazon Prime. They were talking about how this is similar to the software piracy explosion in the 90s, to the music piracy explosion in the 00s and how both waves sparked an overhaul of their respective industries’ business models. And how companies & governments have stopped pursuing the individual. Maybe corporations were becoming too strong and they needed a competitor, maybe music producers had too much power over what artists sell, where, how and for how much. Needless to say, now both industries have pivoted into different pricing models, different revenue streams (SaaS, cloud, consulting for the software industry, concerts, merchandising, special events for the music industry) and new businesses continued to emerge in both fields. The same is planned for the movie industry. Too long have we been fed the same Time-Warner, 20th century Fox, MGM, (insert corporation here) content and we have seen too little mainstream independent content (well, Europe is an exception, we like them independent ones here, thanks to Cannes, TIFF and other film festivals out there). Or perhaps there is a greater good behind this, too. Imagine a world freshly liberated from communism (Central and Eastern Europe) or transitioning from military / religious dictatorships to more open societies (Asia, Africa) where there was an insurmountable wealth gap between the people there and the ones in Western Europe, North America, Australia. How could these people get close to the culture of the western world? How could these people connect themselves to the up and coming digital economy that’s based on software? How could they unite the world youth under transcontinental hits? And by access I mean piracy. Today’s millennials (yeah, I hate this word too) are the result of two decades of free access to Windows, Adobe, Office, Internet Explorer, countless games, music and movies that helped them develop a global mindset, skills and attitudes that makes it easier for them to work together regardless of nationality, race, gender that their older peers. At first it was Kazaa, eMule and software download sites that were full of viruses, then there was the torrent revolution (Bittorrent, The Pirate Bay, Kickass Torrents etc), now there’s Popcorn Time with all its clones. Also, anons all over the world now have access to TOR, a hidden service that helps them protect their privacy when fighting against systems, governments and other entities. What’s next? Which industry will go down? My bet is on the financial sector, with fin-tech and crypto-currency on the rise. One of my hobbies is to fiddle with WordPress in my spare time, as it’s a CMS I have been working with for the past 7 years. Usually, I work with the template files to replicate design and layout, but recently, with the growing popularity of page builders, I found myself to want to duplicate pages I had already build, but without saving a new layout. I needed several signup/error pages for The Extra Dish site and needed to duplicate pages. WordPress does not make it easy for people like me. 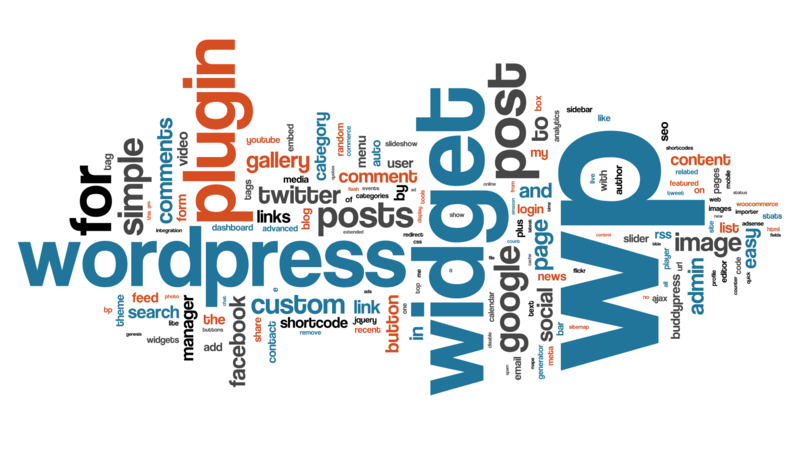 There is no default way to do it, but there are several plugins to help us. Please share this post if you find it helpful. At the heart of digital marketing are the connections between brands and consumers. 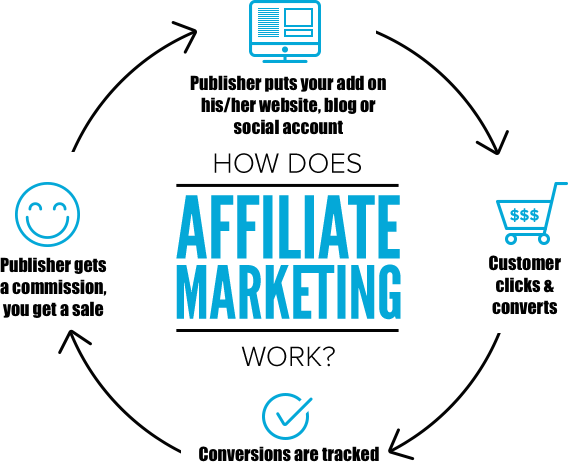 Affiliate marketing takes these connections to the next level and involves companies of all sizes, whether they are a start-up, SME or a big brand. It is cost-effective, highly targeted and data driven. Yet, the majority of tech-savvy-business-casual-nonchalant-scarf-wearing digital marketers are more or less unfamiliar with the concept and its benefits. So, how can affiliate marketing help digital marketers reach their consumer base more efficiently? How can affiliate networks in turn do more in reaching out to those digital marketers of the future? Here are some points of wisdom for both marketers as well as affiliate networks to better connect to each other and in turn provide more value to the online ecosystem. 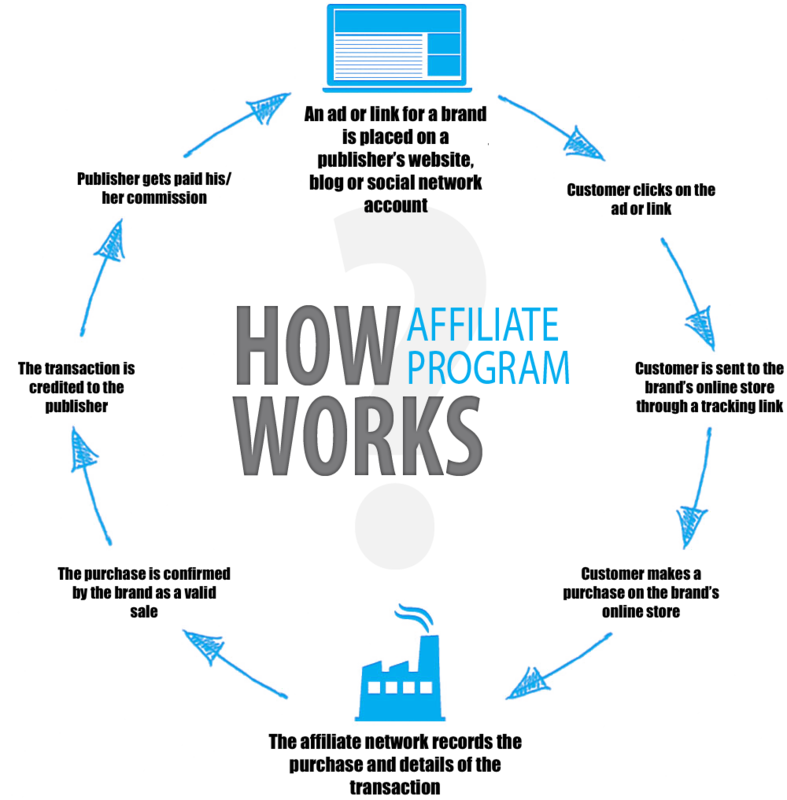 Affiliate marketing today while promising, is still in its infancy. 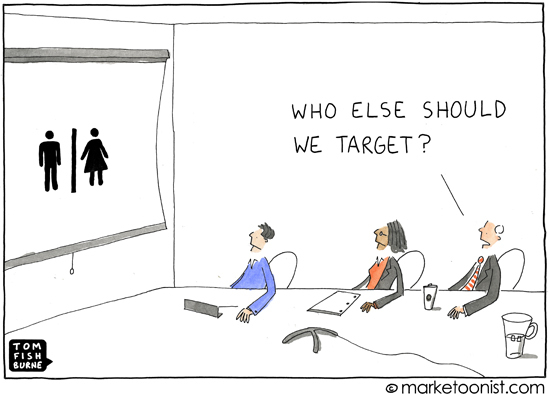 The capacity to accurately target the right customers online merely scratches the surface of its potential. As yet, the concept is hardly utilised by many digital marketers or is simply unfamiliar. Affiliate marketing, like the listening skills of men, is hardly used or the concept is simply unfamiliar. Simplified, affiliate marketing is selling your products or services via publishers and in return, giving back a commission on a sale or when a certain target is met. The concept is built upon a win-win-win monetising model, where all parties (i.e. advertisers, publishers and consumers) get to be happy. Brands and agencies reach the right customer segment, publishers get their well-deserved commissions and customers get relevant ads. Making this possible, are amongst others, affiliate networks. However, most of these data-savvy service providers are currently unsatisfied with the small marketing budgets big companies set aside for affiliate marketing. This is quite surprising considering it is currently one of the most cost-effective way to accurately target the right customer segment with the right content. Especially now, when the performance marketing industry is undergoing rapid changes, keeping up with the latest technological developments in affiliate marketing becomes more important. To make things even more pressing, other trends show that consumer purchase journeys become more fragmented, the online ecosystem more complex and user-attention spans shorter – not to mention the constant fluctuations in user behaviour. As new actors come into the digital ecosystem, social media, programmatic display and retargeting feature increasingly more in the user’s journey. Attribution models must both reflect and keep pace with these changes. This is exactly where affiliate marketing turns this potential threat into a huge opportunity in sustaining profitable growth. Affiliate marketing will eventually become an essential part of any company’s digital marketing practice, whether it’s a start-up, SME or a big brand. As the ecosystem becomes more complex, content providers capture increasingly more niches, showing that the playing ground for affiliate marketing is growing and becoming increasingly more targeted. The concept already proves to be a more cost-effective alternative to traditional, less targeted, Display, CPM, PPC and Text ad-units methods provided by, for example, Google AdSense. Moreover, the affiliate marketing business model does not only have to cater to big media publishers, price comparison sites, subject expert websites and loyalty websites, as seen today, but it can also cater for the niche blogger. Independent studies show that shoppers coming via affiliate sites are often more affluent, spend more on average, but also shop more frequently. It follows that the lifetime value of an affiliate channel customer is much higher. 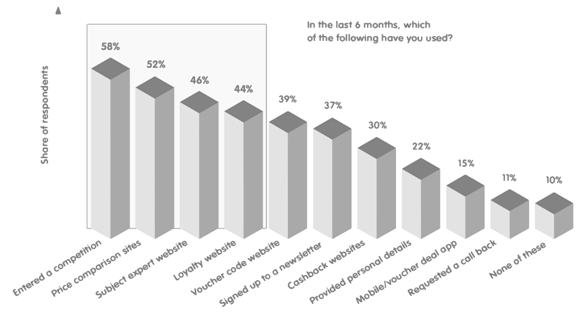 Tracking the true influence of a website on the purchase decision (i.e. the customer journey experience) is immensely important for a marketer. Whether it is a multi-device multi-browser or device agnostic, social related tracking cookie, code/cash-back or just a regular coupon/discount, it is important for the affiliates to be credited and for marketers to find out exactly which channels perform and which do not – and why! 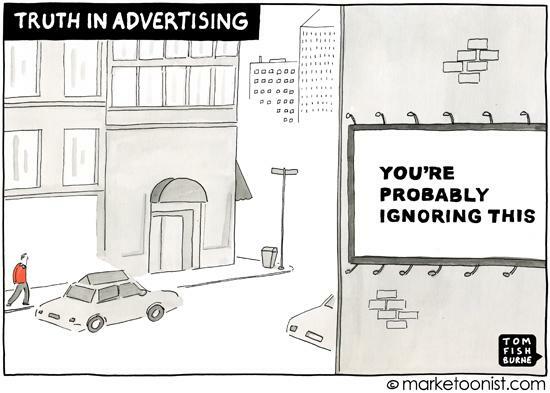 That way, brands and agencies (i.e. the advertisers) can add more value by applying this acquired knowledge in better-targeted content and select more relevant IABs to promote their products and services. In turn, customers get less annoyed with inappropriate ads and waste less time on irrelevant deals. All of the above combined with more competitive technologies to track customer sales funnels will ensure a consistent use by brands and agencies of affiliate marketing for years to come. In the future, affiliate marketing will have a bigger voice in the advertiser’s budget, but only if affiliate networks concentrate more on product development (i.e. existing markets, new products or services), concept promotion, market development (i.e. new markets, existing products or services) and better alignment between publisher and the account management teams. 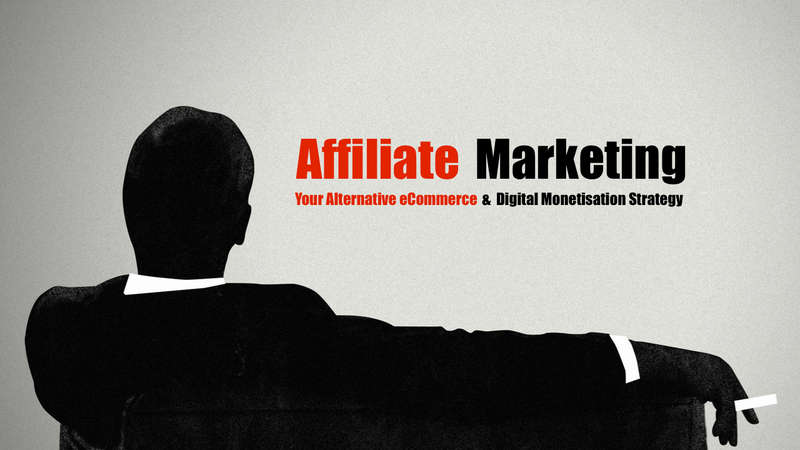 Let’s start with product development and promotion of the affiliate marketing concept. It is crucial for affiliate networks to be technologically competitive and build upon the brand awareness of the affiliate concept. Education and account penetration: informing existing advertisers and publishers of the financial and technical benefits of affiliate marketing is key. There is still little known about affiliate marketing, even though it is built upon a strong win-win-win monetising model. Marketing communications: this ties in with the previous point. Affiliate networks need to create more brand awareness and promote concept recognition to a wider audience via social media, newsletter articles (PR) and at business conferences. Marketing tools: the affiliate channel is already well-known as being an expert at pushing sales, but less known for the role it plays in driving brand awareness and brand value. Introducing marketing tools for both publishers and advertisers that can measure the affect of different (experimental) campaigns on their brand awareness and brand value will create a whole new level of adding value to both advertisers and publishers alike. Mobile: inform, train and reward publishers that want to create mobile-friendly websites or apps that support mobile advertising. As most of you know, online purchasing is dramatically shifting from desktop to mobile; both publishers and advertisers alike need to be ahead of the game. Besides nurturing existing advertiser markets, such as, FMCG, online retail and travel, affiliate networks will also have to play a role being the dominant digital marketing tool in new markets with existing products or services (i.e. market development). We suggested two, which ties in well with the previously mentioned points of wisdom. The start-up and young enterprise market: affiliate marketing makes perfect sense for start-ups and young enterprises as they are mostly on a strict budget, always want to see direct value for money, growth hack everything and are always looking to present valuable data to potential investors. Furthermore, consumer journey learning from insightful data can dictate lean strategy and budget allocation. It gives businesses the opportunity to be quick on their feet in decision-making and shifting priorities. The nature of sharing best practices through WoM in incubations and shared workplaces, such as, Google Campus and IDEA Shoreditch, will organically increase the exposure of the affiliate marketing concept and its affiliate networks. Moreover, the ease of becoming a member of an affiliate network and partnering up with publishers fits in well with the fast-paced environment start-ups and young enterprises reside in. The gaming market: the gaming industry is one of the fastest growing industries. Gaming companies, such as, Battle.net and Ubisoft, provide most of their games online, which aligns perfectly with the affiliate marketing concept. Also, gamers are a very unique customer segment. They have more tendencies to follow up on a sale after clicking a banner, than say, a customer looking to book a holiday to Istanbul. The vast quantity of big and small competing gaming companies make it a very appealing market, especially since the click-acquisition ratio is much more favourable to both advertisers as well as publishers. Moreover, the huge customer base of gamers and the availability of a large amount of relating publishers make it even more appealing for an affiliate network to make this arena part if its company strategy. Finally, in order to compete with other affiliate networks, an affiliate network must build streamlined cross-departmental processes that encourage teamwork between the publisher and the account management teams. A continuous exchange of information is a big part of that in order to provide long-lasting value to advertisers. The publisher team should first and foremost know its affiliates, segment them, make sure that it receives all the right data in terms of network intelligence, such as, traffic, user profiles, conversion data, suitability per product/category/industry and future development plans in terms of content. They should also keep a clear record of who was on board when and what results they generated for each client, industry and product category. This enables better decision making when recruiting new affiliates or assigning new campaigns to current ones. The account management team, on the other hand, must be aware of the available data and the tracking capabilities of the publisher team, involve them in the client’s strategy formulation and assign the right marketing mix for each individual client, product or service group. It is also their responsibility to clearly understand the client’s KPIs and is ready to deliver on them. Lastly, in terms of adding value to top advertisers, the account management team must offer exclusive consultations to top advertisers by offering solutions complementary to affiliate marketing, such as, tracking data on customer behaviour and re-targeting via e-mail campaigns or social media. There is significant room to grow in the digital marketing arena, and within that, affiliate marketing can play a significant role in providing the right marketing mix, as long as teams, processes and technologies integrate to create the most value for clients and their customers. Ultimately, the objective is to make money and in order to make money, you have to target the right product to the right customer segment with the right content. The days of the traditional outward-bound marketing model of casting the message wide and hoping to catch a few interested customers is over. Proud again to announce something cool that I am going to do this year in London. 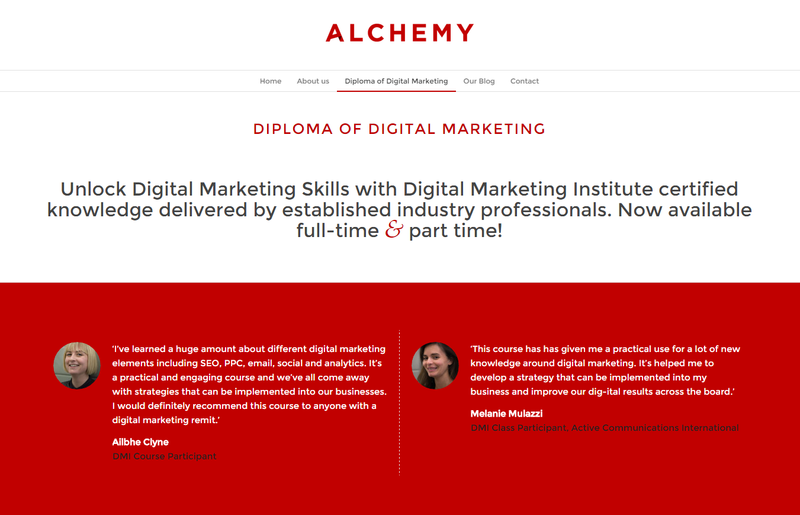 I’m going to put my Digital Marketing, MBA and Entrepreneurship skills & experience to good use mixed with the seasoned methodologies of the Digital Marketing Institute to create the space for Londoners to take the first steps in the digital world. Here’s the blog post I wrote for the class earlier in the week. Please feel free to share 🙂 And use the EARLY BIRD code when registering. Update: 24/3/2015: The Saver code is gone now! We believe in giving before taking, so here are our 10 key digital marketing tips that will help you build amazing campaigns using the best digital mix. 1. Be helpful, honest and open – the rise of the internet & mobile connections have brought people closer together & closer to brands. It’s now more important than ever to stand out with a helpful message. Give before you ask. 2. Write for your customers, not for Google – too much we have focused on keywords and link-building for search engine optimization and forgot about the power of digital PR, organic mentions and fresh content. 3. The click is just the beginning of the journey – use today’s wide variety of pay per click networks, but don’t forget to track your customer all the way from the banner/link ad to your thank you page. You will learn a lot. 4. Email is king – if used correctly, email is still a very powerful tool, even with the rise of social media. Gets people clicking and gets people buying. What would you do without all those travel deals, Timeout offers or cool discounts that you get every day? 5. Display advertising enriches brands – pictures are worth 1000 words, especially in display advertising. Show what’s great about your product of service, make people smile, laugh or go “aha” with that design and copy. Clicking isn’t everything here. 6. Use that mobile connection wisely – our (smart)phone is the most intimate communication tool of them all. We carry it around with us every day and use it regularly. Do everyone a favour and don’t be intrusive. Connect with a purpose and add value. 7. Measure everything – the internet was a big leap forward from the TV or print ads because we now can track each and every marketing tactic. So we know what works and what doesn’t and focus just on the stuff that works. 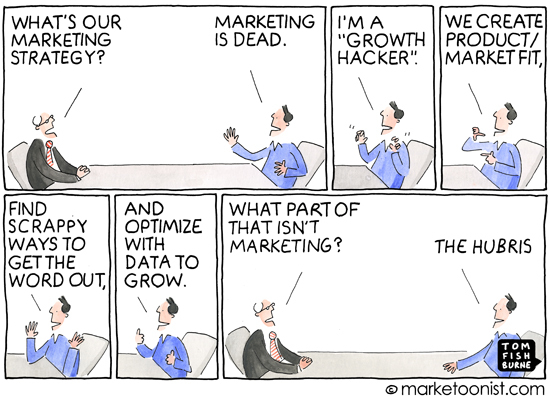 Analytics tools have to be part of every digital mix, no matter how small. 8. Social media is about being social – Don’t just start a social media channel to broadcast, use it to connect and engage with your customers, answer their questions, post useful content and entertain them. Oh, and use photos and videos a lot, it works. 9. Not all social networks are useful for your business – or for yourself for that matter. Learn how to choose from the wide range of networks and go where you can best provide added value and reach your customers at the same time. I know, a tricky one. 10. The strategy pulls it all together – the mix of tools is not a campaign unless we make strategic choices and establish a clear path, a tone of voice, narrative, approach, network mix and a set of indicators that will tell if we are successful or not. 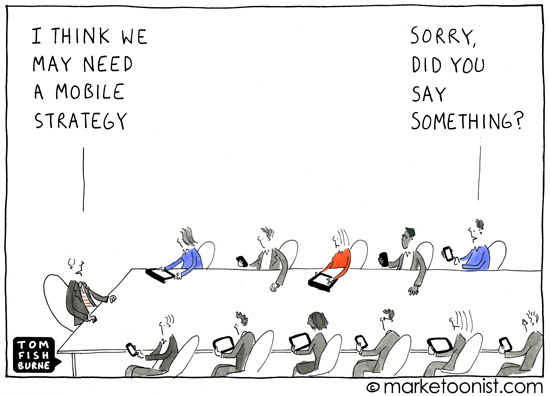 Never start a digital marketing effort without a strategy. You’ll never know if you are successful. 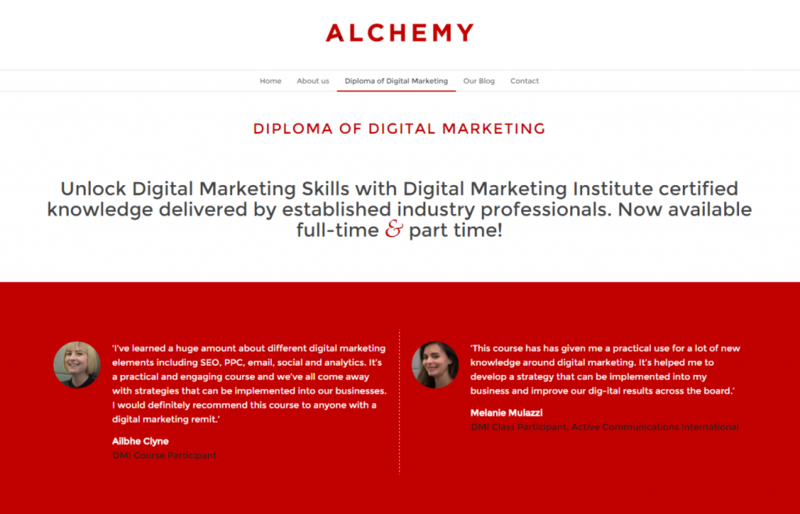 This is just a 5 minute taster of a 10 module Professional Diploma in Digital Marketing, an accredited course we are running this spring in London. Just to give you an idea of its scale, over 9,000 professionals from 36 countries have graduated and taken enhanced digital knowledge back to their businesses. So why not join them in April? We have two types of classes, both full time and part time, run by two experienced tutors, Mike and myself. Needless to say how happy I am that The Extra Dish has had such amazing feedback and is now featured on one of the biggest news & business websites in my home country. I’ve translated the article below and plan to make it the first of many. Thanks Wall-Street.ro & Alex Goaga for letting me put it up here, too! Titus, 27, is at his fourth attempt in the world of startups. This time, along with two other partners, he chose a field full of flavor – a platform that connects people who cook at home dishes that are more more or less conventional and those who want to order home-cooked meals. The network is called TheExtraDish.com. The Extra Dish founders, Kate Wolfenden, Roberto Lucci and Titus Capilnean met in the Executive MBA program at the Hult International Business School where they worked together on several projects. After graduating, they kept a close relationship and the three are now working together for The Extra Dish. Kate, 34, spent the past few years in the charitable sector and in the past had a business that combines pubs and street festivals in London. Kate is now working on WWF and will serve as a Non-executive Director for The Extra Dish. Roberto Lucci, 46, is the one who came up with the idea in the first place. He helped build a tourism business focused on luxury villas, business that has achieved multi-million turnover and where he is now working to automate the processes using digital tools. Titus, 27, has worked in the online industry in Romania from 2008 to 2014 on NGO campaigns, in agencies and in the corporate sector, when he decided to move to London. It’s the 4th attempt in the world of startups, having tried to build two agencies and a foursquare for websites on which he worked in various stages and in different positions. The team is now expanding with Alex Nicolaica, who recently moved to London and will bring his expertise in marketing and digital built in the IT&C & FMCG sectors, and Aishlyn Angill, a Londoner who loves meeting new people and is excited by the big challenges behind such a business like The Extra Dish, where she can put her amazing sales skills to good use. Alex takes care of marketing strategy and Aishlyin of the operations and relationships with the home cooks. In Romania, such a platform would be a niche of a niche, as it would cover a still very small, only emerging market. However, only in the UK, convenience and take-out food markets exceeded 60 billion pounds in 2014. This includes all fast-food delivery, restaurant delivery services and convenience food sales in stores like Tesco, Marks & Spencer and Sainsbury’s. “Roberto, a lover of good food tired of restaurants or traditional takeout, came up with the idea when he tried to order something from a local cook. He couldn’t find a solution to solve the problem and knowing that there are other people with the same needs, started working on the project with me and Kate, “says Titus. The first iteration of the idea consisted of a Business Model Canvas, a few platform specifications & user journeys, a business plan and lots of enthusiasm. 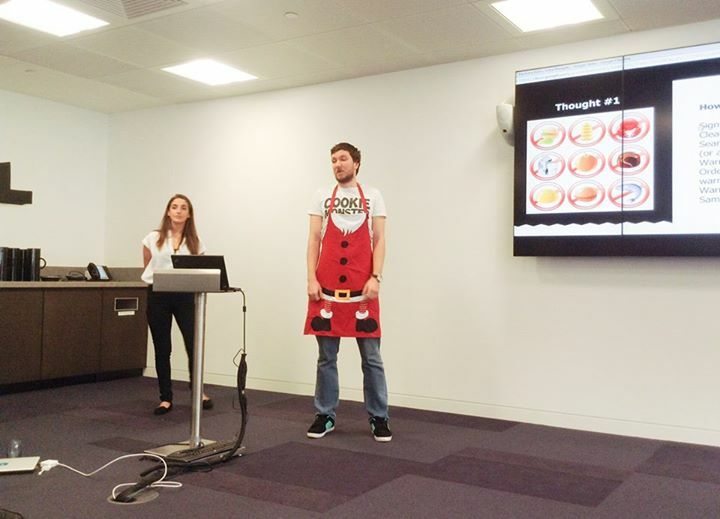 These were validated at Startcelerate London, Seedcamp Office Hours in Paris and LCIF London and also helped to attract about 50 people potential cooks who love doing this at home and to whom they will facilitate the connection with “foodies” in London. “Looking ahead, our vision is that everyone who is a talented home cook should be able to use their talent through The Extra Dish. That translates into global infrastructure (directly or through partners) and a brand at least the size of Airbnb and Uber”, said Titus Capilnean. “The business model is simple and transparent – we create a link between people who cook at home and those who want to order home-cooked meals and we charge a percentage for brokering the deal (the order will have a set minimum value adding the delivery fees on top). We try to close the circle when it comes to take-out, as we have learned from all other food startups that we have studied while defining the concept of The Extra Dish. Our ambition is to create an ecosystem that will connect people passionate about cooking with those who want to order food cooked with love and care, and that means we need to cover all stages of the transaction – presentation, packaging, transportation, payment, so the only concern of the cooks is what to cook next and for those who order to benefit from an experience at least as good as ordering from a restaurant delivery service“ notes the young Romanian. Currently, the team have been in touch with dozens of home cooks who have shown interest in being included in the platform and estimate that in the next 12 months, they will have about 500 active home cooks. The other side of the market is that of users who want to order home-cooked food. Here we’re talking about standard channels: performance marketing, social networks, cooking blogs, but beyond acquisition campaigns, the entrepreneurs will work on retention and loyalty campaigns for users. They will also leverage platform usage data and personal preferences to generate the best recommendations. For the last few months months the three have been working at both the testing and modelling concept and presentations, pitches and individual meetings and are in discussions with a number of investors. “We want to enter in a partnership with one or more investors who understand the business and want to contribute actively to the its development, bringing on board their experience, network and ideas, not just the money. We’re a super strong team, enthusiastic and full of energy and will put all our “brain power” to good use to achieve fantastic results!“, says Titus. They aim to fully launch platform in the coming months, with own resources and use the capital injection to ensure a consistent impact and strong growth. “In the coming weeks we are preparing to launch a crowdfunding campaign where we would love to see contributions from everyone who believes in our vision and ability to go global. Of course, if wall-street.ro readers (or my blog readers for that matter) are interested in our business, we are open to any investment proposal (just say hello (at) theextradish.com) “. For the first 18 months, the focus is on the London market, given that the main goal is to become sustainable before the next step into new markets. Most of the team is already there, the market is very large and very dynamic. “We want to cover about 50% of the London until next year and then to replicate the model and learning onto other markets. We’re looking at the US, especially the west coast, but the list includes 2-3 cities in Europe, too “. So far, the founders have invested some thousand pounds in project and expected that they will continue to fuel it’s setup, “but our time was the main resource to date and consisted of tens of hours per week invested in documents, meetings and presentations. So the 6 months of dedication would amount to a total of £60-70,000” according to their own estimations. “In the world of startups, we would call our company a Unicorn, which requires a bigger initial investment, as it’s profitable only at volume. Investments in this type of companies support the fixed costs and the expansion, but when the business becomes profitable, the results are usually extraordinary. The other type is the Pony, meaning that the company produces enough income from the beginning and the only cash it needs is that which it helps it to grow faster, but the growth & gain rate is not as staggering. The Pony is a more common type of tech startups, easier to launch, but usually they don’t scale as much as a Unicorn,” concluded Titus Capilnean. I moved out of my home country this year and I had previously left home for college 7 years ago, so home cooking was something I used to get just on public holidays, when I would travel home and my mum would cook for me. 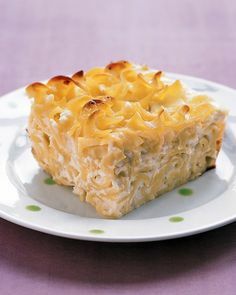 But somehow, with all these years past, I still longed for a piece of lokshen kugel (sweet noodle pudding for those who don’t know what I’m talking about). I couldn’t find it anywhere in Bucharest, where I had lived prior to coming to London, and even here you could only get it in certain Israeli restaurants, but never as good as my grandma used to make it. You know what I am talking about, we all have our lokshen kugel even if yours is called differently. It’s that dish that your elders used to cook for you with everything in the right place, perfectly cooked and with that extra sprinkle of home cooking to make it taste right. No restaurant or takeaway or convenience dish can match that. It’s just something you have to make in your own home. This September, myself and two great friends decided to work together towards something that we think could revolutionize the way we order take-out food. We call it The Extra Dish.Just a few months later and we are ready to tell the world about it; and this is where we need your help. We know you have a great community of passionate home cooks and we’re sure that some of them are based in London and would surely benefit from our project. So what is The Extra Dish? It’s a food sharing platform. But instead of connecting restaurants, professional chefs or takeaways, we connect hungry commuters with talented home cooks in their neighborhood. Imagine getting an amazing Brazilian stew from the woman that knows it best, or maybe that secret-recipe curry or proper Yorkshire roast dinner like you remember your mum making back home. That’s the food we will be sharing — The food restaurants just can’t do. Now, what if we had all of that and we promised that every meal bought on the platform also bought an emergency meal for someone, somewhere else in the world that needs it most? Right now we are on the scout for talented home cooks that would want to make a bit of extra income from home by doing what they love the most — cooking! All they would need to do is make the food and we would take care of the rest — even the delivery! Plus ordering, advertising and money transfer is all handled safely and securely online (soon enough, we’re still in pre-launch phase). So the cook earns the money and the food-lover gets fed a great home-cooked meal. This is why we would very much appreciate your thoughts on The Extra Dish and, if you really like it and want to empower talented home cooking, we’re recruiting in London, Zones 1 or 2 for our initial launch. This weekend, just like two weeks before, I waited patiently for hours to vote, a right our parents fought for 25 years ago. In London tens of thousands of people, most of them calm, smiling, queued with us in the hope of a better future back home, where they still have family members, friends, businesses. I didn’t get the chance to do it though, unfortunately, after waiting for 10 hours. 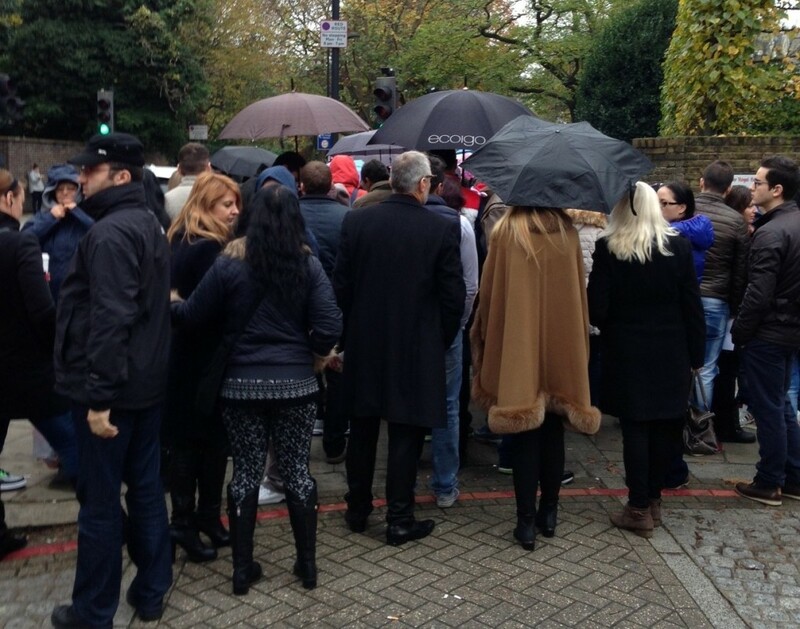 When is the last time you queued for 10 hours to exercise your right? This sad, sad moment reminded me of a story about communism that my parents and grandparents used to tell me. I was born in 87, when times were very hard. They told me that they used to go and queue to get food – eggs, milk, meat (which was a rare treat). Electricity and hot water were scarce and we used the stove to keep warm when heating was cut too. That was painful communism. Today we don’t have to queue for food anymore, but for something else. We have to queue for the power to change a system that has driven us out of our hometowns, out of our country in search of a better future. Why would a democratic system cause its citizens so much pain, so many hours wasted for tens of thousands of people. We switched the painful communism with painful democracy – a pain to vote, a pain to travel, to do business and to be happy. I hope this weekend is a step to put an end to this. And i hope the next MCV report will reflect the poor state of the nation and its institutions. Events like this, voting queues, should not be possible in 2014, European Union. Along side the poor deployment from the organizers(Government), there is one more notable mention. 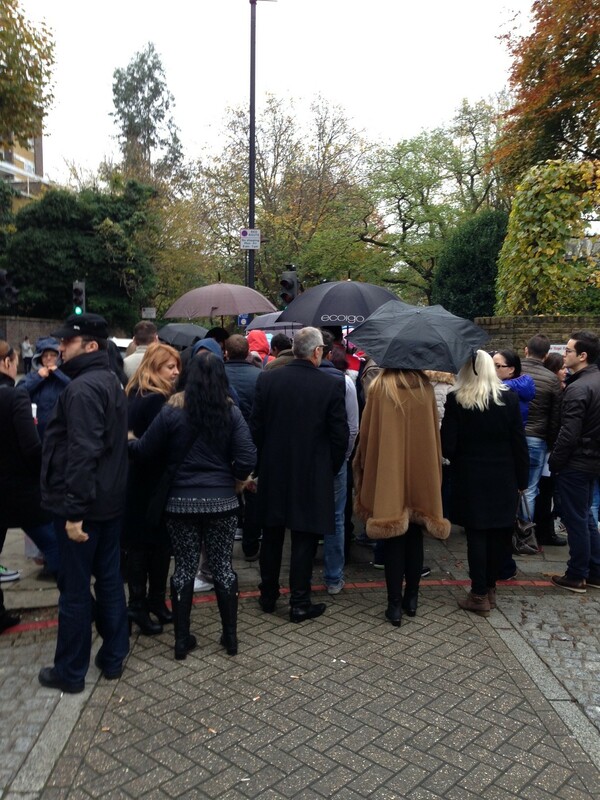 I am ashamed that some people who call themselves patriots and Romanians disrupted the peace and quiet of Kensington and resorted to shouting, verbal violence and raised the tension in the peaceful queue. There were agitators, people that were there just to anger the others, not to vote or anything else. They are the representation on the uncivilised side of Romania and none of us should ever encourage them. I distance myself from these agitators and disrupters and I ask you, the non-Romanian reader, to see beyond this uncivilized representation of nationalism and take a good look at us, the silent, numerous and mannered group that are part of your communities in the EU and all over the world. We are the victims of the painful democracy back home. 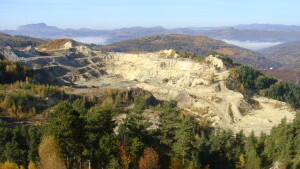 The Roşia Montană mining project and other similar projects across Europe, which extract natural resources with sustainability and social responsibility as core principles, together with the highest regard for environmental standards, will create jobs and welfare for local and national communities, and could contribute to fulfilling the growth objectives put forward by Mr. Schultz. The World Gold Council reported in October that, in 2013, fifteen of its members surveyed employed over 160,000 people and had a total expenditure of $47.3 billion, out of which 79% ($37.4 billion) was spent inside the country of operation. Of that $37 billion, 88% benefited suppliers, local people and communities and only 12% went to national budgets. Imagine a European Union that is self-sustainable and prosperous thanks to its rational use of currently available resources and a sound exploration strategy. Read more on the Rosia Montana News website. 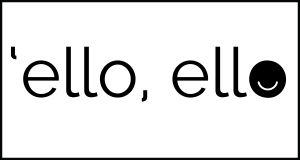 Most digitally connected people have heard of Ello by now. 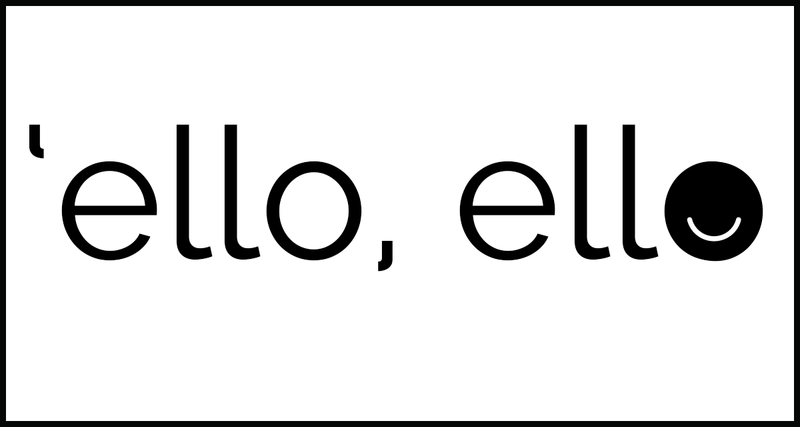 Ello is the social network that vows not to share your personal data for advertising gains. That’s their USP and that’s what’s drawing people in, leaving the novelty factor aside. They hope to make money from paid features and are accepting limited numbers of users due to server restrictions a.k.a. keep the network from crashing altogether (remember the fail whale?). I was fortunate enough to get an invite from my network and I’m returning the favor. I have 10 invites up for grabs for the first 10 comments posted here, on my blog, that say what they think brands could do on Ello. Please use real email addresses for the comments so I can send you the invite codes. I’ll start: Brands could use Ello to tell stories that are somewhere between blogging and tweeting, to add image and video and provide an uninterrupted experience via the Ello timeline.